Some parts of the state’s new recreational marijuana law take effect this month. Here are a few things to know about it, and some tips for talking with your kids. The new law legalizes recreational marijuana use in small amounts for adults age 21 and older beginning Dec. 15, 2016. Other provisions including large-scale cultivation, manufacturing and retail sales don’t start until 2018. It’s important for teens in particular to understand marijuana use for them remains illegal. Young people model adult behavior, so it is important to be thoughtful about what they hear adults say or see them do. 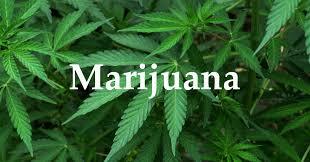 Marijuana negatively impacts learning and memory, coordination and judgement. Some effects can last for days, especially in regular users. Because teens brains’ are still developing, regular use of marijuana may impair brain development, lower IQ, and increase risk of mental illness in those who are predisposed. Information adapted from the Massachusetts Department of Public Health and the National Institute on Drug Abuse for Teens. See www.newtonma.gov/marijuana for links to resources.